About | Critical Connections Ecological Services, Inc.
Critical Connections Ecological Services, Inc.
Critical Connections Ecological Services, Inc (CCES) is a natural resource and ecological restoration consulting firm based in Stillwater, Minnesota. CCES was incorporated in 1999 by the company’s visionary and principal ecologist, Jason Husveth. CCES’s mission is to elevate the standard of ecological consulting in the upper midwest. CCES understands that each project is unique and requires scientific innovation and attention to detail to achieve the desired results. We never use a “canned” or “cookie-cutter” approach to accomplish our work. CCES is pleased to provide a variety of services for our clients which include public agencies as well as private developers, corporations, and individuals. Give us a call today to learn more about our broad breadth of services and how we can help you reach your project’s ecological and environmental goals. Jason incorporated CCES in 1999 determined to set higher standards for environmental consulting in the upper Midwest. Jason is the company’s founding principal and lead field ecologist with more than 18 years of experience. Jason has intentionally maintained the size of his company since its inception as he is highly committed to his continued involvement with each and every project coming through the company’s doors. Currently, Jason focuses primarily on designing and implementing wetland banking and restoration projects; field assessment of natural resources; surveying for rare species; assisting with rare species conservation and permitting efforts; completing floristic quality assessments; developing new and innovative field survey protocols using GIS; and generating technical reports. Jason has detected hundreds of new populations of State Endangered, Threatened or Special Concern species and his expertise is well recognized by his colleagues, clients, and representatives from local and State agencies. Recently, Jason has started to share his knowledge with others through teaching. He frequently gives presentations, leads an annual sedge identification course, and teaches University of Minnesota students during a summer field course at the Cloquet Forestry Center. 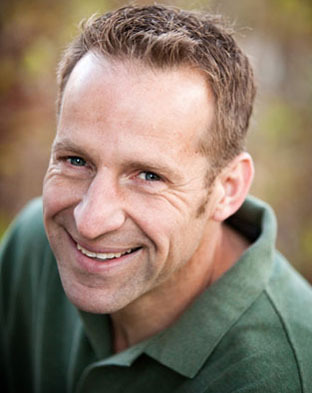 Jason holds a Bachelor of Science in Landscape Architecture from Rutgers University and a Master of Science in Restoration Ecology and Landscape Architecture from the University of Minnesota. 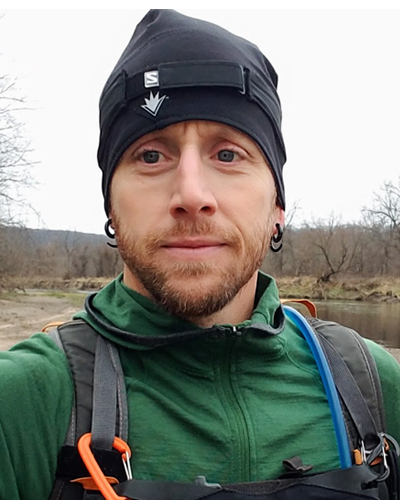 Jason has received several awards for his work including the Outstanding Conservationist Award from Anoka County, the Outstanding Alumni Award from Rutgers University, and the Minnesota DNR’s Metro Greenways Recognition Award. Jason is a member of the Midwest-Great Lakes Chapter of Society for Ecological Restoration, the Minnesota Wetland Professionals Association, and the Minnesota Native Plant Society. When he’s not working, Jason enjoys spending time with his wife, Amy; mentoring young men; art, drawing, and photography; competing in ultra marathon races; and riding his “fat-tire” snow bike. Amy joins CCES with over 10 years of experience in the field of natural resource management, including experience in both the private and public sectors. Amy is a field ecologist and project manager with CCES. In this role Amy has conducted numerous botanical surveys over hundreds of acres of land; synthesized technical field data into concise reports; navigated local, state, and federal environmental permitting processes; performed on-the-ground manual restoration tasks; and assembled GIS-based maps and models. Prior to joining CCES, Amy worked for several natural resource based organizations and businesses including Bonestroo Engineering, the Washington Conservation District, Comfort Lake-Forest Lake Watershed District, and the USDA Natural Resource Conservation Service. Amy studied Biology, Ecology and Systematics, as well as Restoration Ecology at the University of Northern Iowa, earning her Bachelor of Arts in 2004 and her Master of Science in 2006. Amy’s past professional experience working for local government agencies has allowed her to become a skilled grant writer and provided her with a unique perspective on local agency project review and permitting processes. Having grown up on a beef farm in northeast Iowa, she is committed to and skilled at serving those working in agricultural business. Amy is a member of the Midwest-Great Lakes Chapter of Society for Ecological Restoration, the Minnesota Wetland Professionals Association, and the Minnesota Native Plant Society. She was also featured as a STEM Gem for the Iowa Math and Science Education Partnership. When she’s not working, Amy is focused on completing her 230-hour yoga study and teacher certification training, visiting her family in Iowa, or spending time running or hiking with her husband Jason. Craig is an accomplished field ecologist with extensive experience working in Iowa, Minnesota, Nebraska, Missouri and other parts of the upper Midwest. Craig has worked with both private organizations and government agencies at the county, state and federal level. He has conducted plant and animal surveys in a variety of habitats, developed management plans, and conducted management and restoration activities including thousands of acres of prescribed fire work. At CCES, Craig serves as a seasonal ecological field technician assisting with on-the-ground survey and inventory work. Craig Hemsath is a full time biology and environmental science teacher in La Porte City, Iowa. He earned his B.A. in Biology & Certification in Secondary Education in 2004 from Wartburg College. After a year of teaching Craig pursued and earned his M.S. in Biology (2007), with an emphasis on Restoration Ecology, at the University of Northern Iowa. In 2013, Craig became a National Board Certified Teacher. In early 2015, Craig was selected to participate in the Marine Education Fellowship – studying in the conservation hotspot of Costa Rica. When he’s not working, Craig enjoys taking students on voluntary kayaking and hiking trips, fishing and spending time with his wife, Brynna and their children. Steve Moe brings experience and expertise in ornithological and botanical surveys. 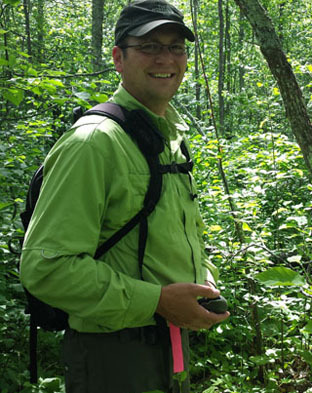 Steve has obtained field experience working in a variety of habitat types including the National Forests of Minnesota, the Tongass National Forest of Southeast Alaska, the Ottawa National Forest in Michigan, and the prairies of North Dakota. At CCES, Steve serves as a seasonal ecological field technician assisting with on-the-ground survey and inventory work, as well as wetland assessments and delineations. Steve earned his B.A. in Biology 1987 from Earlham College in Indiana. He later returned to work on his M.S. in Botany at Iowa State University, which he completed in 1993. 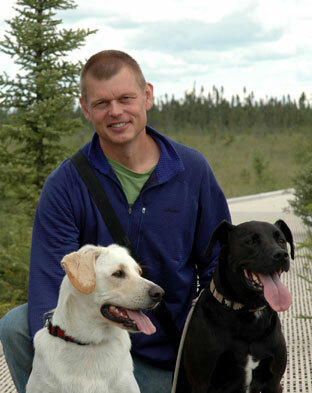 Since 1999, Steve has worked full-time as a science teacher at the Friends School of Minnesota. Steve uses his past experience in field botany and ornithology to bring focused hands on learning to his students. Steve is committed to inspiring his students by getting them outdoors as much as possible so that they can experience science first hand. Steve known for taking his students bird watching at 6:00 am. In 2013, Steve earned the Seagate Science Mentor Award. When he’s not working Steve enjoys working with bicycles and utilizing the many bicycle trails and cycle lanes found in metro area. He also enjoys spending time with his wife, Amy, and their two dogs. John loves the freedom of the great outdoors and endless physical activity. He also brings a creative fire, an eye for detail, an unmatched work ethic, and graphic design skills to CCES. At CCES, John assists in completing on-the-ground site assessment and ecological restoration activities. He is a skilled chainsaw operator and can very quickly complete acres of invasive shrub removal. John also assists in collecting GPS-based data in the field. In addition to hands on work, John provides graphic design details. John assists CCES in completing graphical layout of marketing materials, project figures, as well as GIS-based map layouts. John is a highly motivated entrepreneur and the owner of Rocksteady Running, LLC. Rocksteady Running is a Minnesota based company that produces and hosts trail and ultra-distance running events; provides management and timing services for related events; and creates and manufactures custom running and lifestyle apparel. When he’s not working, John enjoys competing in winter races, visiting the north shore of Minnesota, and spending time with his family and friends.